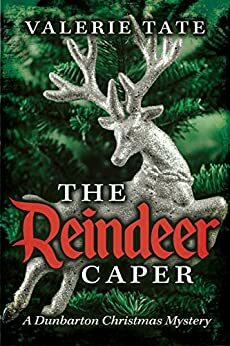 The Reindeer Caper (The Dunbarton Christmas Mysteries Book 1) - Kindle edition by Valerie Tate. Mystery, Thriller & Suspense Kindle eBooks @ Amazon.com. With a missing reindeer, a murdered elf, and a mayor one Christmas Carol short of a breakdown, it looks like Christmas festivities in Dunbarton are in danger of being cancelled - especially since Santa is in jail, charged with murder! It's coming up to Christmas and everyone in Dunbarton is filled with excitement at the arrival of a reindeer, a gift from their twin town in Norway. But when Dasher disappears, children and parents alike are devastated, and the mayor fears an international incident. In desperation, the mayor turns to the Mallorys to save the town's Christmas, but the more Chris and Alicia investigate, the more they realize it isn't just Christmas that's in jeopardy. rep for solving crimes, a juxtaposition in such an idyllic town. So it's only natural that the mayor enlists their help when real live Dasher, a beloved reindeer gift from Norway, is stolen! Then to their horror, someone is murdered. It's equally disheartening when Neil Marley, town Santa for the last twenty years is suspect. 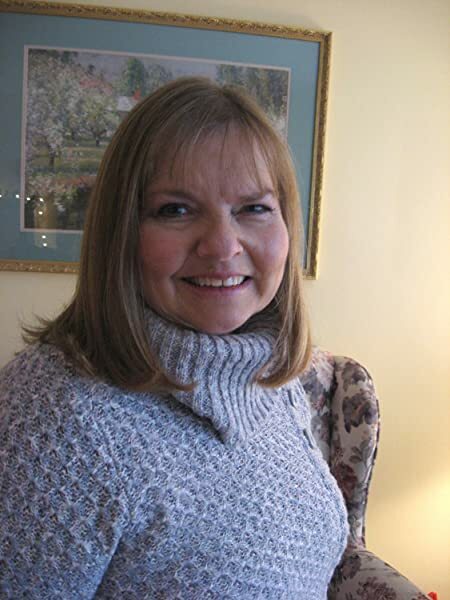 Alicia , maiden name Dunbar, is a founding descendent and loved by all. Well, maybe most. Sweet, friendly and feisty, she is determined to solve the case and prove the town's Santa's innocence. As the residents ' quirks are revealed, the possibilities are endless. And there's plenty of suspicion and scrumptious food to whet your appetite. fans who love the cozy comfort of Hallmark channel movies will enjoy these books by Valerie Tate. 5.0 out of 5 starsIntriguing mystery about a husband and wife duo. This is the third story written by Valerie Tate about a husband and wife duo. Man is murdered and the accused is Santa. The characters are interesting, especially the husband and wife duo who solved mystery despite the twists and turns of the characters, the residents of the town, and the police Detective who latch on the obvious suspect. How you specially love the description of the small town life and it's residents in Canada. Highly recommended if anybody wants a cozy mystery. This is my third Dunbarton mystery and I loved it! It was a great way to start the Christmas season. There was a lot of humour and enough twists and turns to the plot to keep you going to the end. How can you not enjoy a story where Santa is accused of murdering an Elf? Where a valued reindeer goes missing? My only gripe is that the mayor is too overbearing and high-strung, and comes across as a caricature than a true character - it rather spoils the otherwise wonderful story. I loved this book. It is a wonderful cute Christmas story. Valerie Tate really knows how to write a mystery. She kept me on the edge of my seat the whole time. I thought that I had figured out who the killer was, but I was surprised. I recommend it to anyone who enjoys reading a cozy mystery. A cute tale to read during holidays. This has it all a missing reindeer a murdered elf and Santa in jail. Thanks to Chris and Alicia, they investigate, so festivals can go on. A cute story to be enjoyed by all. Valerie Tate is punctuationally challenged. She cannot spell the name of a famous shoe designer - failure to do the most basic research, as well as being editorially challenged. And she claims to hold a degree in English, as well as teacher certification? Problem is, her multitudinous failures in writing and editing detract from actually reading the story. 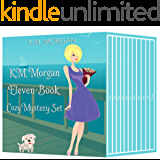 Cute little cozy mystery set in an adorable little lakeshore village. If the author could clean up her act, it would make a suitable little holiday mystery for the preteen set. Enjoyed this story very much. Have another one loaded on my Kindle to read. I like to 'solve' the mystery before the last chapters but was way off track following the Red Herrings.